HIGH Finally giving that old lady what’s coming to her. LOW A certain loose plank that could have been much more visible. WTF Why is it this hard to accurately throw a key? If nothing else, the developers of Little Nightmares have the secret of developing chilling imagery down to an art. The dripping walls, the squirming black worms, the bandaged ogres with their inhumanly long limbs and fingers… I’d say that the only problem with the game’s title is that it vastly underestimates the scope of the horrors contained within. This is especially true in The Depths, an hourlong excursion into the bowels of the prison ship where the main game is set. 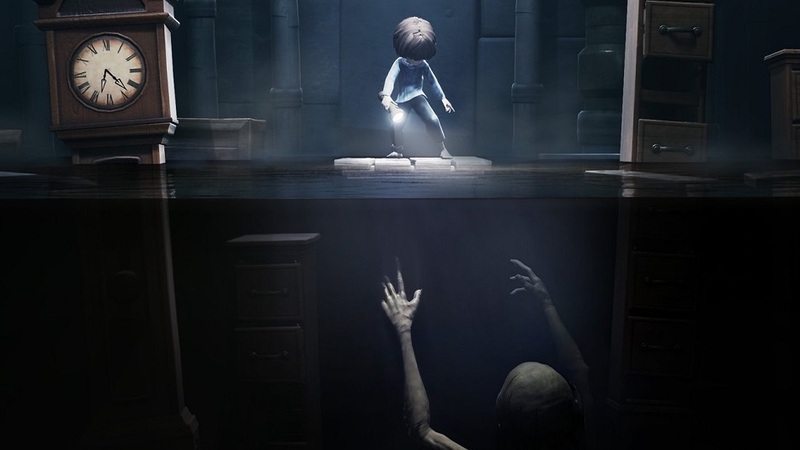 The player takes on the role of a little boy waking up in the dormitory area and goes on a journey that inverts the main campaign’s structure by following a little girl backwards through a few familiar areas before reaching the main setting of The Depths: a series of mostly submerged rooms where a twisted old lady lurks just below the water’s surface, waiting to drag the little boy to his doom. 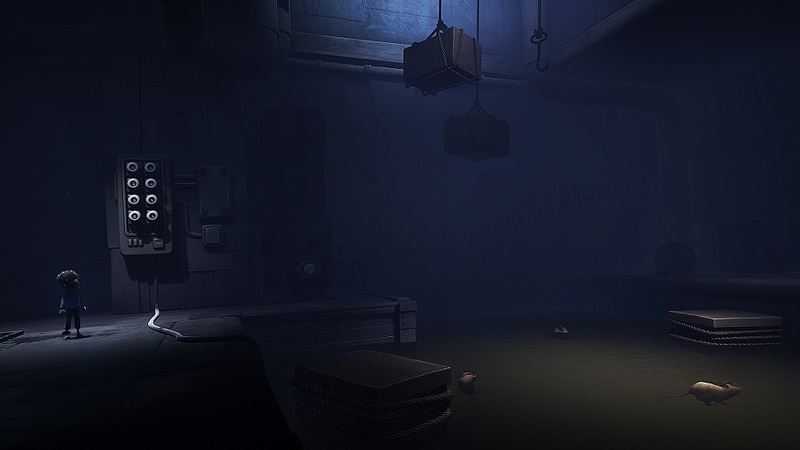 The Depths is full of simple physics puzzles, asking the player to change water levels and use suitcases as platforms to reach new areas. The really impressive sequences, though, are a series of swimming races, where the player must zip from platform to platform as they’re chased by an ominous ripple in the water signifying that the old lady is on her way. Masterfully evoking the core campaign’s grimy aesthetic, these sequences are loaded with rotting barrels, broken cabinets, and weathered pieces of wood, transformed by context from disgusting set dressing to islands of respite where the player can take a moment, catch their breath, and plan their next move… At least until the old lady starts pulling the debris under water. The oblique, environmentally-based storytelling of Little Nightmares is as impressive as ever. Everything is slightly off-kilter, from the oversized furnishings to the way that no door or drawer ever seems to close all the way. There’s a fundamentally alien quality to the setting that puts the player on edge just by virtue of its appearance. These are locations that all look and feel unsafe on their most basic level, as if something terrible could happen at any moment. So, it’s never a complete surprise when something does. Disclosures: This game is developed by Tarsier Studios and published by Bandai Namco. It is currently available on PC, XB1, PS4. This copy of the game was obtained via publisher and reviewed on the PS4. Approximately 1 hour of play was devoted to the single-player mode, and the game was completed. There are no multiplayer modes. Parents: According to the ESRB, this game is rated Teen and contains Blood, Violence. There’s plenty of shocking imagery here. Children being dragged to their deaths underwater or turned to stone, horrible monstrosities striding around in the background, imagery suggesting slavery and abuse… it’s all very bleak, and you should absolutely take the rating seriously. Deaf & Hard of Hearing Gamers: I played the entire game on mute and encountered no problems whatsoever. Sounds great. Any news on a “complete” physical edition of the game that includes this dlc?